Oh my gosh...is right. Lots-O-quilting going on here. The girls have been teasing me that I am like a vampire. I am always down in the studio. I never go out in the sunlight. And I stay up all night. They affectionately call me Edward (Twilight). LOL!! With all this quilting and such going on, it has left little time for piecing. I do really well for a while. Taking 10 minutes here and there to piece, but I have totally been slacking there. I need to get back to it because it is so therapeutic. I keep hoping to jump in on Another Year of Schnibbles. Each month I pick out my charms or start one, but that is as far as I get. This is JoAnne's gorgeous version!!! The pattern is Omigosh by Sue Garman. 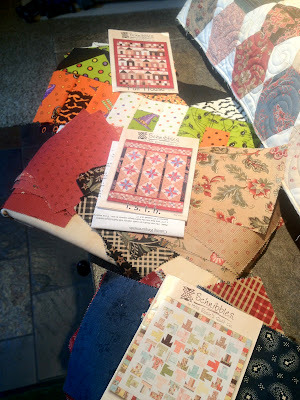 There is a whole LOT-O-PIECING in this quilt!! 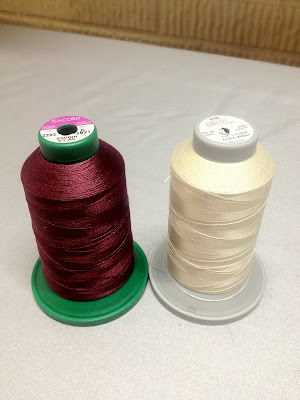 JoAnne has a great blog, The Patriotic Quilter, but for those of you not familiar, I'll give you a little background info. JoAnne and her husband live in Hawaii. Her husband is in the military. They will be moving back to the Continental US this year. I was discussing quilting options with Scott and telling him about JoAnne. He said, "maybe you could quilt a pineapple on the quilt some how." I loved the idea of making this an extra special "Hawaiian" quilt. A little homage to JoAnne's time in Hawaii. It was all Scott's genius idea. Scott even made me a pineapple template!! The curved ruler is a Fine Line Quilter's Ruler by Accents in Designs. LOVE that ruler!!! 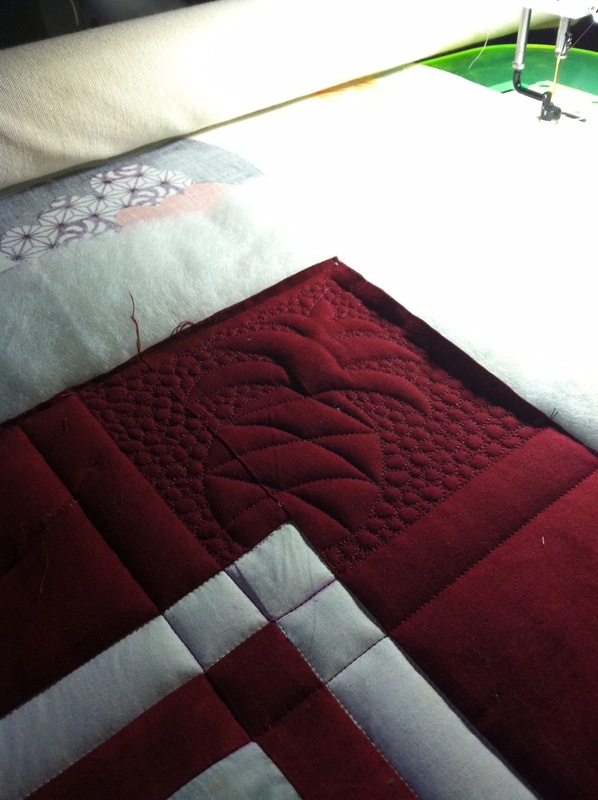 JoAnne's piecing was even phenomenal on the backing! She matched the print up perfectly!! 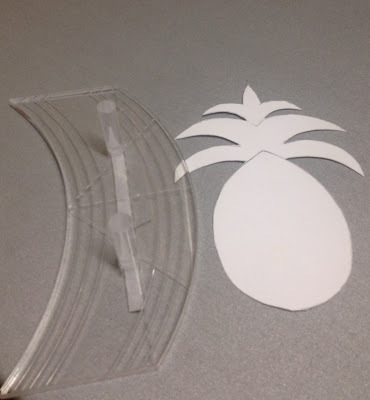 I think the backing has a very tropical Hawaiian theme too. Specifics...I used Dream Wool batting. Threads were Isacord and Glide. Here is a before pic from when I posted about meeting JoAnne in person here. Here you can see just how small the pieces are in this quilt...hence Omigosh!! That is a dime!! Whew!! That is a lot of photos!! I had to make up for being a slacker blogger lately. :-) Hope everyone has a great weekend! !